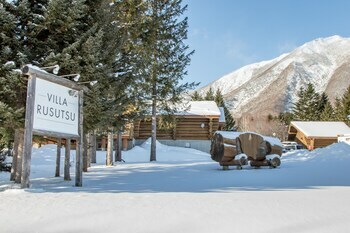 When you stay at Villa Rusutsu in Rusutsu, you'll be next to a golf course and within a 5-minute drive of Rusutsu Resort. Featured amenities include a 24-hour front desk, luggage storage, and laundry facilities. Free self parking is available onsite. With a stay at this vacation home in Kyoto (Karasumaoike), you'll be within a 15-minute drive of Nijo Castle and Kyoto Imperial Palace. Campton 1 Ushitora offers accommodations throughout the area in Kyoto.